Announcement Here at Brushes with a View I design each product and hand paint it without the use of stencils or vinyl. The old school way with a paint brush and paint and my love for art. WHY CHOOSE BRUSHES WITH A VIEW? I believe that providing exceptional customer experience goes hand in hand with delivering an excellent products, I strive to achieve Happy customers with every purchase. This means using only the highest quality products, communicating directly with customers to provide a gift that you will be proud to give! Delivery of my products is always on time and most of the time shipped out early! markers or vinyl lettering being used as they do not hold up over time. I make gifts that last! 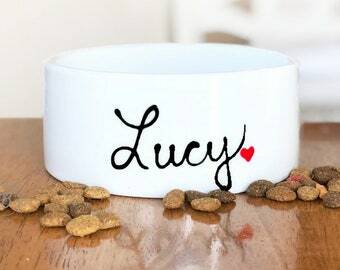 By individually hand painting each item, I can add anything to a mug or wine glass, such as a name or date, to make it the perfect personalized gift. Questions please sent me a convo. charge. Simply state these preferences in the "note to seller" section at checkout. I also welcome custom orders, simply send me a custom request and I will come up with the perfect glass just for you! Here at Brushes with a View I design each product and hand paint it without the use of stencils or vinyl. The old school way with a paint brush and paint and my love for art. 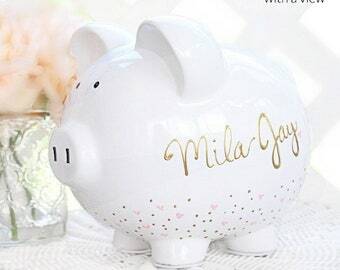 I ordered this piggy bank on April 1st and received it within 8 days. The piggy bank is pretty good size. I love it and will be ordering from this seller again! Thank you so much for such a quick service! Packaged really well and super cute!! 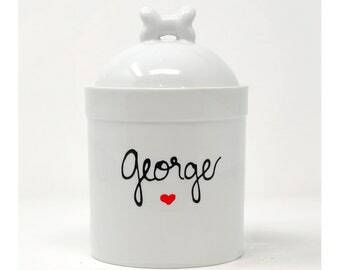 Checkout our new dog treat jar with the adorable paw print! 68 stemless wine glasses. I can’t wait to see the Photos! Hand painted with the same paint I use in my glasses no worried about the stickers peeling off! I'm Ann Yaconis and I absolutely LOVE my job because it gives me the opportunity to create beautiful things for lovely clients like you. 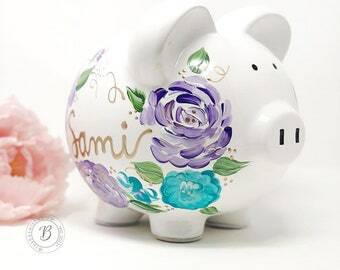 I am the ultimate painting lover so a great day for me is either painting beautiful products for a special client or creating a beautiful keepsake for a family or friend to celebrate special moments in our lives. The lovely thing about hand painting is that it's not just putting paint on a brush its about colors and the feeling these colors portray. I LOVE elegant and classy designs, florals are my favorite thing to paint. Painting soothes the soul. Mixing colors and adding detailed elements to a product and seeing how it looks when completed is so satisfying to me and of all things to create stand-out high quality class design for my clients. My style is feminine and professional, soft but confident, and sassy but humble. That is how I design and the types of clients that I absolutely love working for. I love creating unique experiences through lovely painting designs. I designed my first wine glass around 2012 and did it as a personal hobby for years and a special gift for my mom. When I started designing for others professionally is when I really perfected my painting skills.Taking the time to learn these important skills has given me the ability to give each one of my clients exactly what they want/need for their special gift. There is something so special about giving and receiving handmade gifts. The thought, the time, the effort to create a one of a kind treasure for a special friend or family member makes the gift so much more. My name is Ann and I am the owner and designer of Brushes with a View. Welcome to my shop! 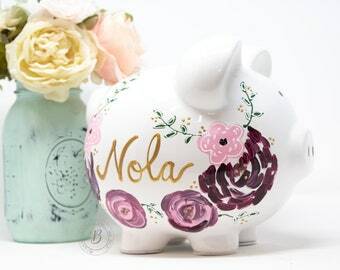 I design and paint personalized glassware, from wine glasses to champagne flutes, custom painted coffee mugs, and gifts for all occasions I am also available to create a custom order for you, send me a message! Due to the nature of our products being "personalized for you" we are UNABLE to accept any returns. We gladly stand by the satisfaction of our customers and it's very important that we meet your full expectations. If we made an error on one of your orders we will gladly replace at no expense to you. If you made a mistake, please send us an ETSY conversation so we can try to resolve the problem for you. We will not be able to refund you for your mistake but hopefully we can help another way. If negative feedback is left about your order I will consider it a complete transaction and will not be able to help you with any issues that you have. Please know that all my products are hand painted which makes them very unique. Products may differ slightly than those photographed. I accept all major credits and Paypal. 3) You'll then be prompted to fill in your billing and credit card information. 4) You'll need to enter your email address so PayPal can send you a receipt. CANCELLATIONS: Cancellations need to be requested within 1 hour of placing your order, Due to your product maybe in production already. Please allow anywhere from 3 business days up to 2 weeks for the production of your order (production time varies for each item, see listing for specific lead-time for your item). Please understand I do not send proofs, I hand paint each product so there is no way to provide a proof unless I paint your order. Items shipped in the USA will ship via USPS First Class Mail if they are 1lb or under, transit time is anywhere from 2 to 7 business days in the USA. Anything over 1lb will ship via USPS Priority Mail service with a 1 to 3 day transit time in the USA. Contact us through conversation if you would like any shipping upgrades/expedites, additional fees apply. Items shipped INTERNATIONALLY will ship via USPS First Class Mail and can take up to 14 business days for delivery. Contact us through conversation if you would like any shipping upgrades/expedites, additional fees apply. Please know your package will be shipped to your address as listed on your ETSY account, please be sure your address is correct or updated. We are not responsible if your order gets shipped to the wrong address. If you message us with a different address we will try to be sure & change it for you but we encourage you to check your address at the time of placing your order. Brushes with a View is not responsible for any lost shipments. Once the order has shipped you will be sent a tracking number so you can track your package. We are also not responsible for packages that say "Delivered" but were never received. If your order is not delivered, we sincerely apologize but it's out of our control what happens after the order leaves our workshop. If this happens to you please feel free to send us a message and we'll try helping in any way we can but please know that a replacement will not be sent at no charge. If you want INSURANCE on your order, please specify in the notes to seller field when ordering and I will let you know the additional fee. Buyers are responsible for all customs and import taxes that may apply. We are also not responsible for delays due to customs. Q- What are the sizes of our products. 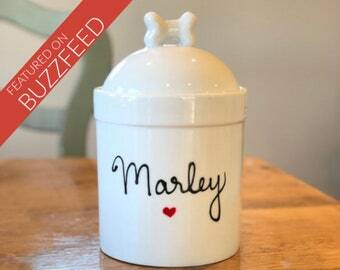 All products are hand painted with top rack dishwasher safe enamel paint and heat set, I go the extra step and seal all my products with a waterproof sealant to make sure your design lasts. Hand Washing is recommended on all ceramic pieces. Please do not place the ceramic piece into the dishwasher. The paint used to create these unique designs is heat fixed but I always recommend that you avoid using abrasive cleaners on the image to preserve the look of your item. No soaking or scrubbing. Hand Dry only. Q. Why hand painted vs. Vinyl? A. Hand painted glasses are unique, meaning your glass is different than the others, not a cookie cutter glass, Hand painted glassware holds up much longer than vinyl glasses, the vinyl can peel and discolor over time, Hand painted glasses keep their color and when properly taken care of can last your years. Q. I need to order by a certain date. A. Please add all need by dates in the notes to seller, if this is a rush order simply purchase the rush upgrade along with the product. Q. Can I add additional information to my order? A. 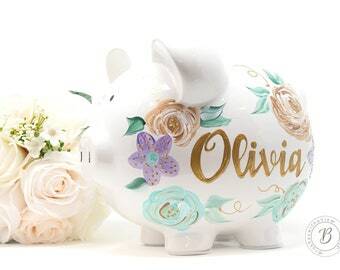 Yes I can personalize your order to fit your needs most of the time a simple name or date can be painted for free, more extensive work will require a additional fee. Please email me here on etsy. Q. Can I request a custom order? A. Yes! I love custom orders, if you have a design that your have seen and love please send me a custom request, I will not copy from others sellers but we can come up with a design your will LOVE! A. Please add all States, Countries and Canadian providence locations in the Notes to Seller which is located on the cart page or in the personalized field on the mobile app. Q. I want 1,2,3,4 states with two locations? A. Sure that can be done, Simply choose the same states from the drop down menu or add it to the notes to seller. Q. Can I have it gift wrapped? With Brushes with a View, you can personalize my products in countless number different ways send me a request a custom order. If your item arrives broken, please contact us to see what we can work out. We can't guarantee any refunds as all sales are final, but we are happy to look at each circumstance on a case by case basis. To be at all eligible for a refund/replacement, we will need to start by seeing a picture of how the item arrived and the outside packaging (shipping box) within 3 days of delivery. Swipe to the right on any product listing to see a 'How to Order' infographic. Also look for the section titled, "How to Order" in each item detail- that's where we list all the details we need from you in order to personalize your template. Please add all customizations in the Notes to Seller on the cart page.No, we are not able to proof read each order. Please CHECK ALL SPELLING AND GRAMMAR, we are not responsible for those errors (including spell check errors). Please double check your text before and after the order is submitted. We will use the exact text that is provided to us. Once your order is received, you will receive an order confirmation by email. We will contact you with any questions. Yes! We never include pricing in our packages and we offer free gift notes! Fill out the recipient's address in the 'Ship To' section at check out and in the white box called, "note to seller" you can leave all the details for your gift note. Yes! We gladly accept custom orders, so please send us a message via an Etsy Conversation by clicking "ask a question" above. We will get back to you within 1 business day. Why choose Brushes with a View for your special Gift? Our Hand painted products are unique, and heirloom quality meaning your glass is different than the others, not a cookie cutter glass, or printed mug. Hand painted glassware holds up much longer than vinyl glasses, the vinyl can peel and discolor over time, Hand painted glasses keep their color and when properly taken care of can last for years. Our items typically take about 1-2 weeks to make. Some are much faster and some pieces take a bit longer, please view the individual item for the approximate lead time. We ship almost all of our items USPS Priority mail and it can take 2-3 days to arrive (per USPS guidelines). If you require other shipping services please let me know and payment for rush shipping can be arranged. Please note that we are not responsible for lost international packages. We love our customers and want you to be 100% happy with your experience. We do not accept exchanges or returns because of the customization of our items. However, if you are not satisfied please contact us within 5 business days of receiving your order and we'll do our very best to make you happy! If there is a problem with your order, misspelled names, dates etc. Please contact me immediately, I will resend the correct personalizations. If a negative review is left prior to you contacting me about a problem with your order, I will not be able to resend you a new product, we are human and errors do happen on occasion.